This is a story that we missed a few months back but felt that it had some intriguing elements to be worth a post. CPI International, Inc. of Santa Rosa, California agreed to pay $135,000 in penalties for allegations that it dumped corrosive waste in the municipal sewer system. CPI International makes environmental standards and testing products and “agreed to the civil penalty that was brought after inspectors observed a paper-like glue substance flowing into the sewer,” said Terry Menshek, a spokeswoman for Sonoma County District Attorney Jill Ravitch. As we have discussed in previous articles, illegal dumping is a very easy crime to both investigate and prove by the DTSC. In this instance moving operations to a home residence while perhaps tempting, was extremely short-sighted and costly for several officers of CPI. Former corporate officers David Hejl agreed to pay $25,000 in civil penalties and Robin Fowler agreed to pay a $10,000. As you can see by this incident, it is important that companies operating in the state of California are following state and federal regulations regarding hazardous waste disposal. Willful violation of the law as in this case will lead to fines, penalties and legal headaches, as well as potential personal liability for corporate officers. 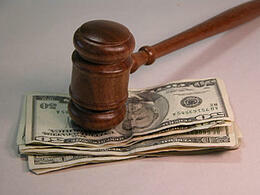 It is just not worth it to violate the law to save funds on proper hazardous waste disposal. 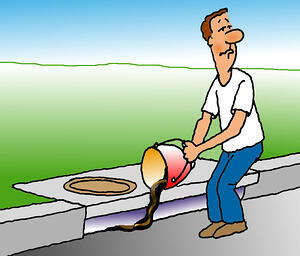 Learn the laws and work with a qualified hazardous waste disposal company.